Troy Stained Glass, Solar and Computers. 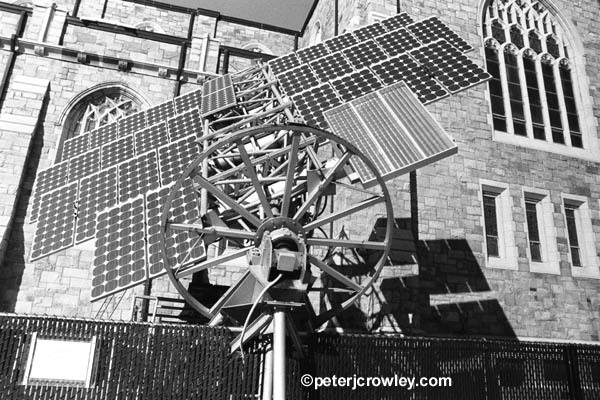 Solar Panels outside RPI computer lab, which is housed in an old Gothic Church. More negative space and triangles.